None But My Own: Anthrax Week! Welcome to Anthrax week! 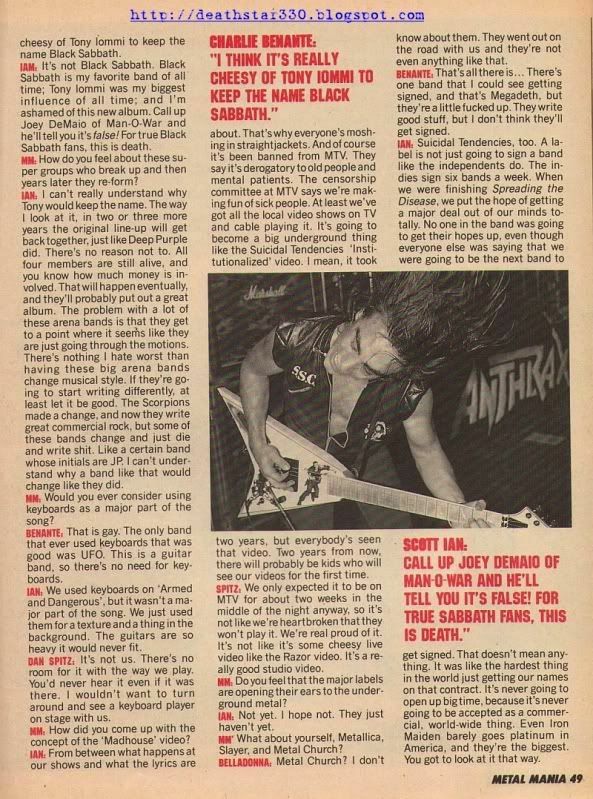 I've unearthed some great Anthrax interviews from the archives including one from 1999 that ran in the now defunct, Metal Edge where Scott Ian gives his greatest 'view describing where it all went wrong. This is an important piece of Thrax history, especially seeing that they made zero changes to salvage their career when in hindsight things were a LOT better for the band in 1999 than 2009. It's funny in a way, that was their first album with John Bush and in a way it was also their "last." 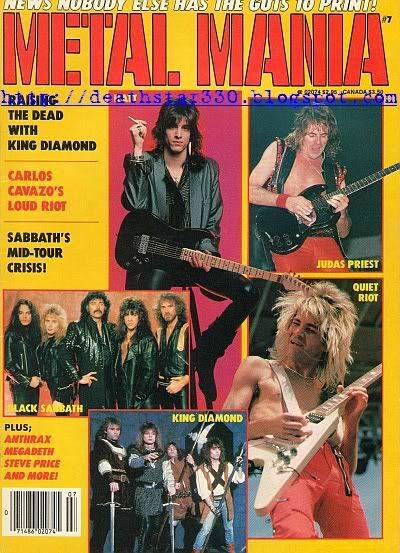 As most of you know 'SOWN' was the last album to really make an impact in the World of Metal. 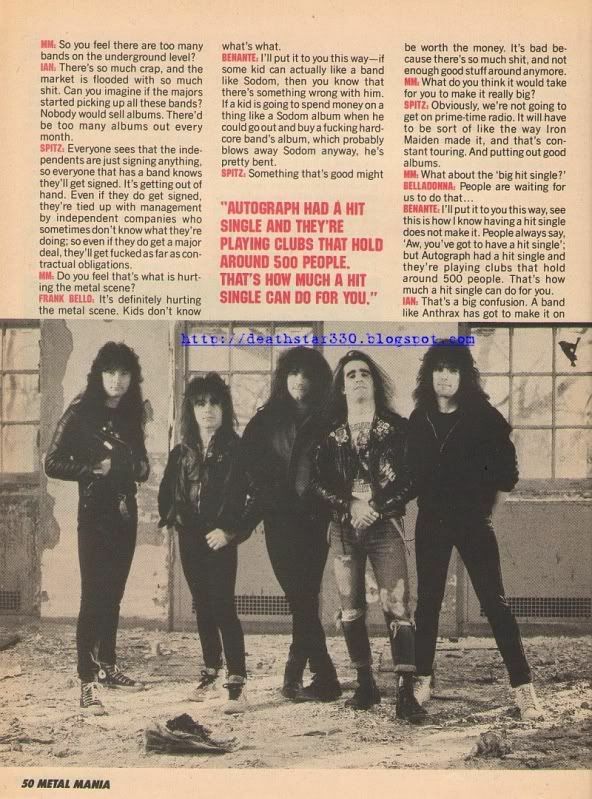 I think it was the last highly anticipated (on a World Wide level) Anthrax record and it was their last LP that was treated as a priority throughout it's cycle (writing, recording, touring). And in my opinion it was definitely the last album before their career hit that giant iceberg called failure. 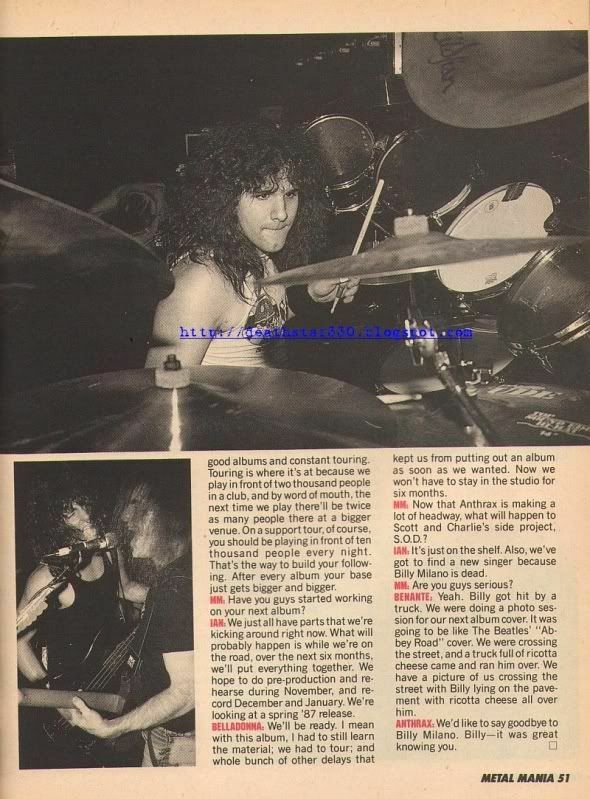 Since the close of the 1993-94 "White Noise" tour, when in America they were being downsized to smaller venues than they'd previously played earlier in the tour, the once unsinkable Anthrax began a 16 year descent that CONTINUES TO THIS VERY DAY! From multiple line up changes, failed reunions, record companies, management firms and forgetful contractual releases ('Greater of Two Evils', 'Music of Mass Destruction', 'Return of the Killer A's') the staggering consistency of disappointments is second to none. If you think some "Big 4" Sonisphere gigs can resurrect this waterlogged catastrophe you're either in the band itself or gave birth to one of it's members, because it's not going to happen. Metallica (Kirk) feeling sorry for them and throwing them a "Big 4" bone is a band aid on a severed head. Stop the bleeding already guys, quit! 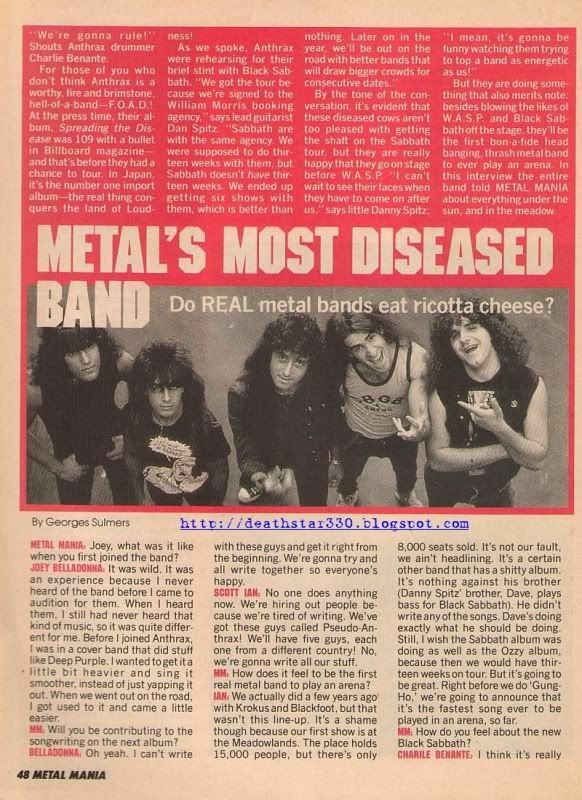 Here's an interview from Metal Mania from the 'Spreading The Disease' days when the band was on the rise and people were actually interested in their next move. These days, uh, not too much.